How long can one hold off the urge of checking the cellphone? The NOAH Channel avails of a unique tool on feature stories which contain just enough satire tone and treatment for amusement and comic relief only. There is no real intention to malign or cause any harm on events, office, agency and personality(ies) mentioned or referred or alluded to. Other posts you have to press the buttons SHOW FACTS and HIDE FACTS if only to check which is real and not. Sometimes, you find both smiley and the buttons convenient for fact checking. How long can one hold off the urge of checking the cellphone? The gadget has emerged from being a luxury just to own one during its first appearance in the 1990’s to a complete necessity in daily living in the wired world now. No doubt there is no reversal of its role but getting more and more attached on the pocket or purse all the time everytime. 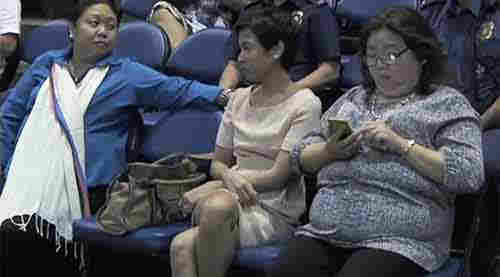 During the program celebration on the 4P’s (Pantawid Pamilyang Pilipino Project) graduates of 2015, the camera spotted several people in the front row seats and right in front of the stage busy with their phones. 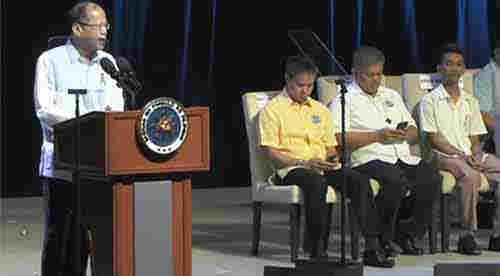 Despite the presence of President Benigno S. Aquino, III, himself on the rostrum at the Smart Araneta Center in Cubao, Quezon City on April 23. The electronic content is more interesting than Mr. Aquino’s speech, after all. This entry was posted in MANILA, NEWS, NOAH, TECH NEWS and tagged 4P's, Benigno S. Aquino III, Comic & Candid, Pantawid Pamilyang Pilipino Project, satire, Smart Araneta Center. Bookmark the permalink. A few days from now, on September 10, the region begins the celebration of 300 years of devotion, the Tercentenary of the Virgin of, and Our Lady of Peñafrancia. While the combined local and national election brings a cacophony of promises from candidates addressed to all the voting and non-voting people of the land, I wondered what promises are hollowed ideas and concepts that may just fade in thin air once elected. DOTC finds no proof on ‘Laglag Bala’ scheme by syndicates? A six-grader at the Malinao Central School braved the hip-deep rampaging flood waters to save the Philippine flag left on its pole when classes were suspended amidst the raging storm in the middle of the day. We are on an intense weather watch due to the tropical disturbance by typhoon Juan (international code name: megi). But rather than get the bulletin from the local channels, we have to rely on the internet which are much more detailed (words and graphic) with updates as often as the sites get one, without the interruption of lengthy advertisements except those pay per click links. What’s in a Name or Nickname? The giving of nickname is popular among Bicolano families. Or I would rather say a part of our culture. I grew up in a family where calling someone the real name is a “crime” for a seemingly unsound connotation.